How to Layer Cut Your Own Hair. Layering hair creates depth and tames thick or coarse tresses. With graduated lengths framing your face, layered hair flatters oval, round and oblong face shapes. 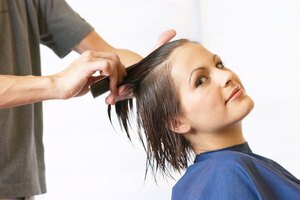 While many women choose to have a hairstylist cut their tresses, layering your own hair is possible with the right tools and techniques. Begin by washing and towel drying your hair. If your hair tangles easily, use a little leave-in conditioner in order to comb it out. Determine the length you want your hair to be. This is the guide for cutting the rest of your hair. 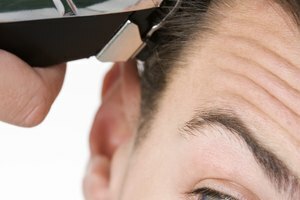 Pull one piece of your hair from directly above your ear while looking in the mirror, placing your fingers at the desired length. Comb it straight downwards. Clip the hairpin on the tiny section of hair at the desired length. It's important that the pin does not slip or your hair will not be the length you chose. Do the same thing on the other side of your head, making sure both pins are exactly the same length. Part your hair in the middle, cutting only one side at a time. Use a hair band to hold the side you are not cutting out of your way, taking care not to move the hair pin guide on that side. Face a large mirror and pull the section of pinned hair out to the side. This is your guide. 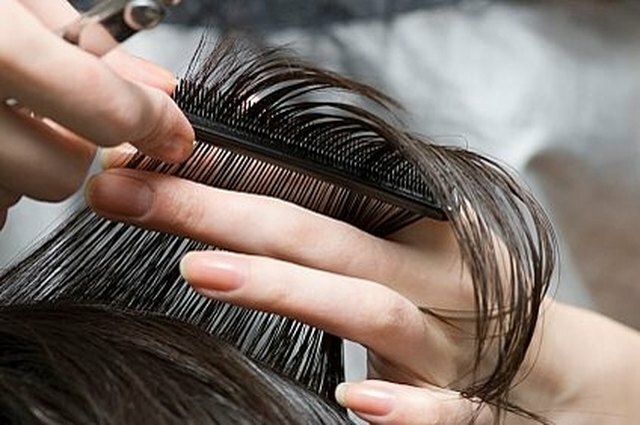 If the hair guide is six inches from your head, you will cut all your hair at the same distance from your head. Imagine a vertical line, running parallel on each side of your head. 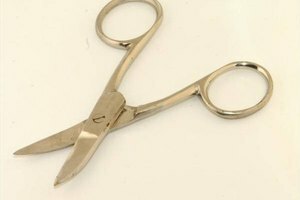 Start with the top of your hair and comb small sections outwards to the exact distance as your guide and cut the strand holding your scissors vertically. Repeat this step cutting all strands of hair to match the length of the guide. Follow the same procedure with the other side of your hair. Turn your entire head upside down for a different, super-easy layered cut. If you don't want to follow Steps 1 through 6, you can perform a total layered cut on your hair by combing clean, damp hair upside down and putting a hair band tightly on the top of your head, gathering all the hair smoothly into one ponytail. The ponytail should be in a direct line with your ears. Pull the ponytail straight and cut all your hair the same length. Remove the hair band and comb out your perfectly-layered look. Layering your own hair isn't for everyone. It takes time and attention to detail to make sure every strand is the same length. Consider recruiting a friend or making an appointment with a professional stylist if you are not confident in cutting it yourself.